If EU doesn't budge, will Greece turn to China or Russia? Greece only has a few days to either agree to an extended EU bailout, or walk away from its European partners and seek other assistance, possibly Russia or China, or other BRICS countries. Finance ministers from the eurozone will meet with Greek counterpart Yanis Varoufakis on Friday February 20 to either extend the current bailout program or sign a new deal. 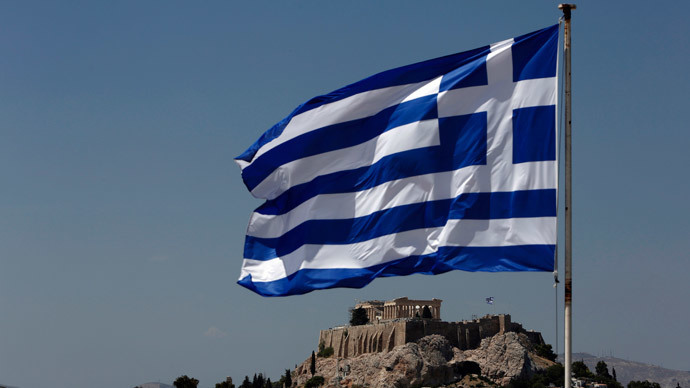 If no progress is made, Greece could be forced to leave the euro currency. The EU is nervous about Greece looking elsewhere to get a better deal, according to former British diplomat William Mallinson. “They fear above all Greece getting closer to Russia, as it ought to historically in any case. Because at the end of the day, they know very well that it is possible to have a BRICS loan with perhaps Russian-Chinese help, with far lower interest rates,” Mallinson told RT. Greece’s Prime Minister Alexis Tsipras has been invited to China by Chinese Prime Minister Li Keqiang for a state visit. Both Russia’s finance and foreign ministries have said Moscow hasn’t ruled out providing Athens with funds. However, the fiscally-fragile country has not asked Russia for a loan. A move towards China or Russia would deepen the divide between Athens and the rest of the EU, says Mallinson, and any EU country that comes to Greece’s rescue could also be economically isolated. “Or who knows, even a compromise with Russian help and some individual European countries,” he suggests. However, the cost of borrowing for Greece continues to rise as government debt continues to devalue. Greek banks are very dependent on help from the European Central Bank. As long as Greece remains at the negotiating table the ECB is providing emergency funding to banks worth €65 billion, but unless a compromise can be found, Greece will lose the emergency assistance at the end of the month. Greece has debt of more than €317 billion, and borrowed €240 billion from the Troika of lenders- the European Commission, the European Central Bank, and the International Monetary Fund.